As New York’s premier luxury transportation service, Farrell Limousine strives to focus all possible needs of the client and go beyond the role of traditional limousine service in fulfilling them. Offering first class treatment from the moment a transportation coordinator takes your phone call until you receive your invoice, Farrell Limousine Service will provide you with outstanding service every step of the way. 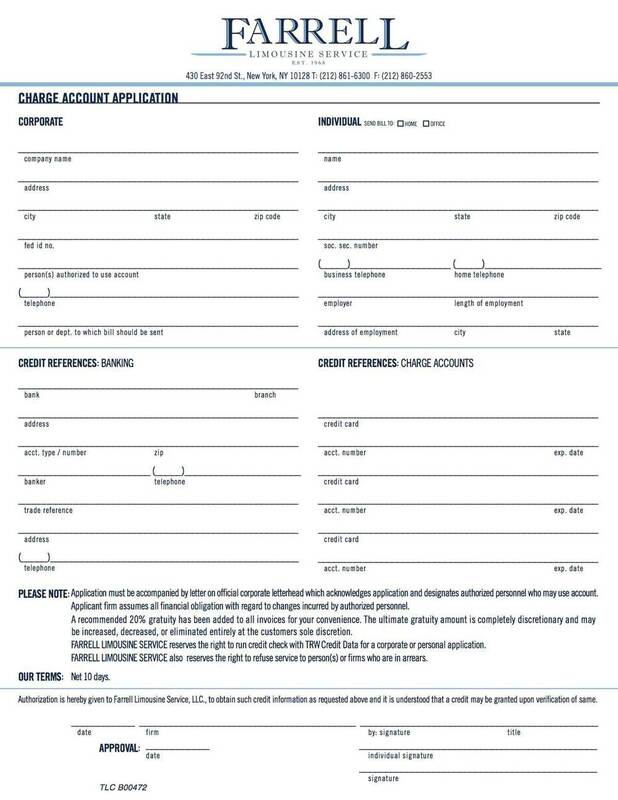 If you are interested in becoming a client, please download and fill out the forms through the link provided.